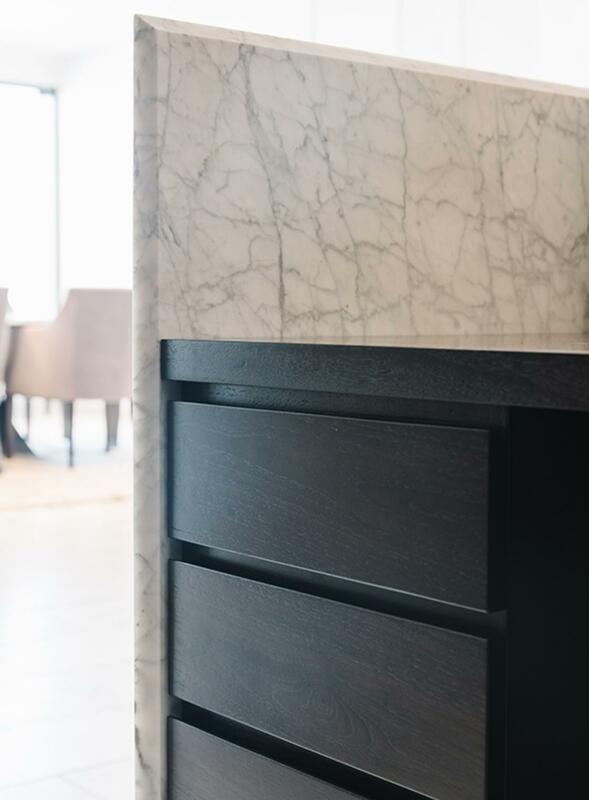 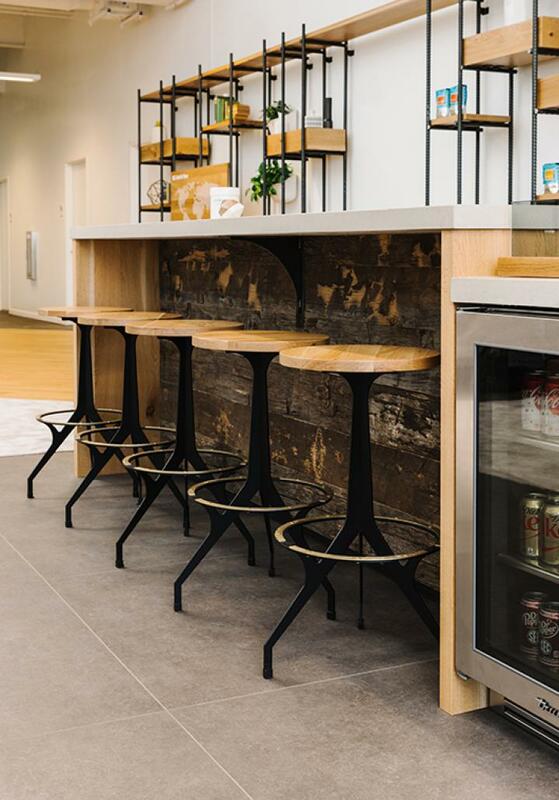 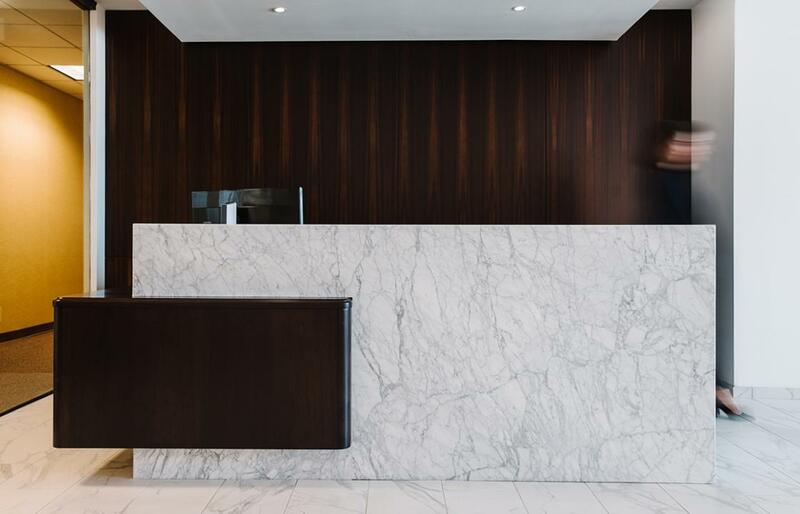 Stunning and most certainly sophisticated are the words of the day when it comes to our work for Geyer Morris, commercial real estate brokers in Buckhead, Atlanta. 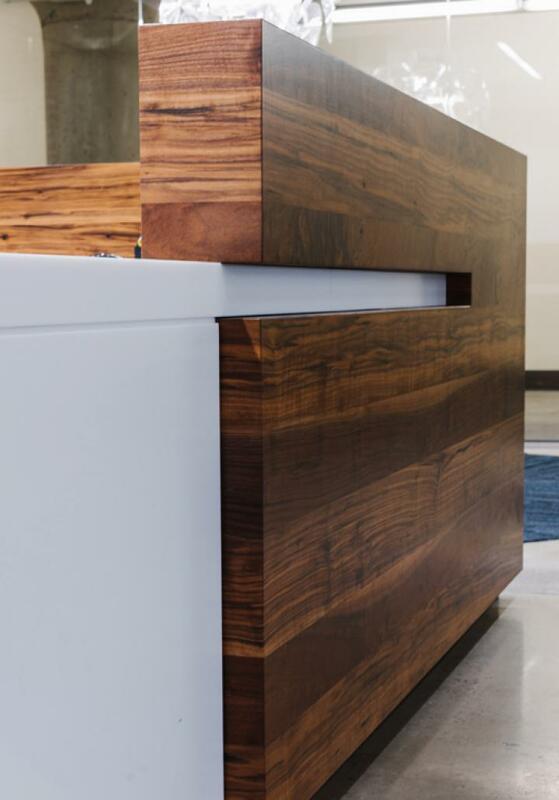 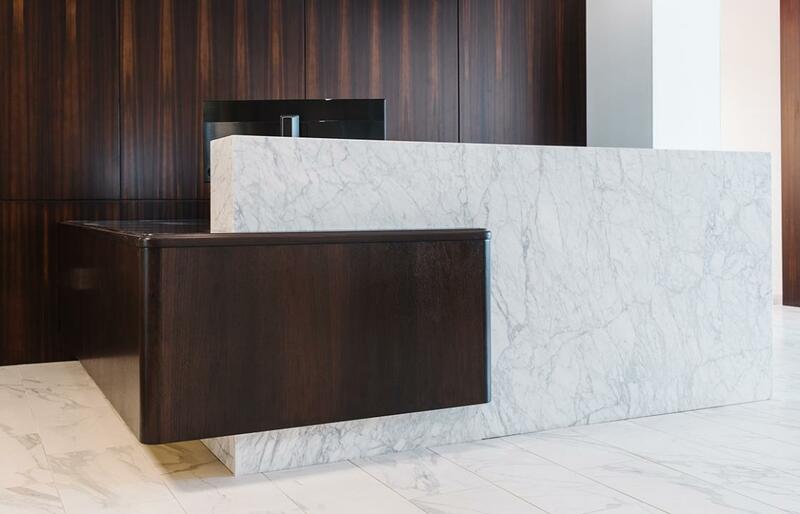 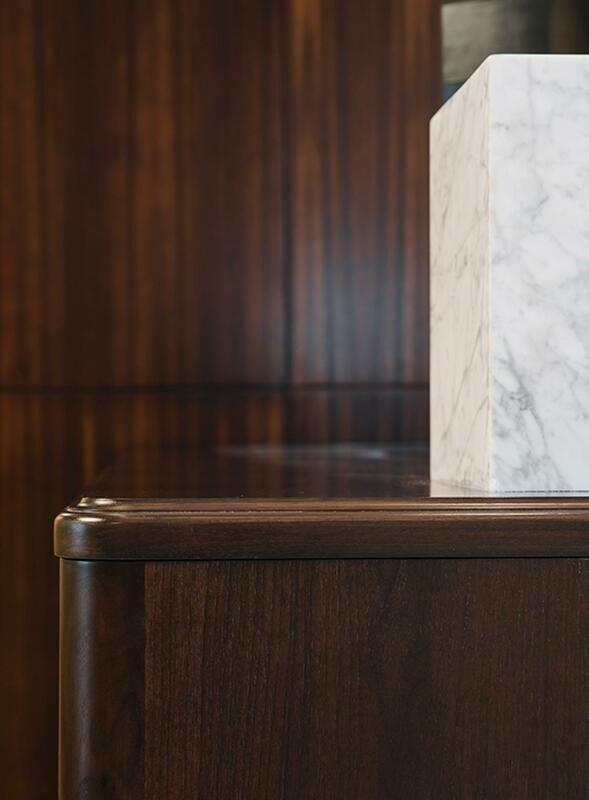 Deeply stained walnut contrasts with Carrera marble to create an impact at reception. 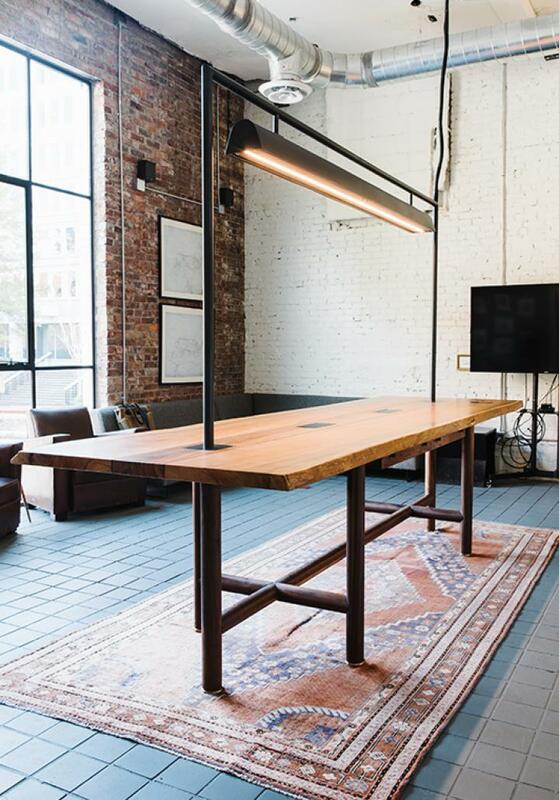 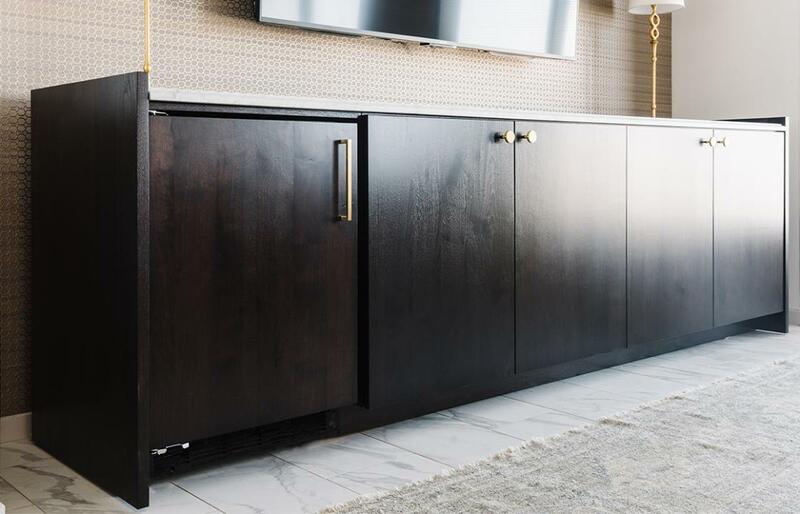 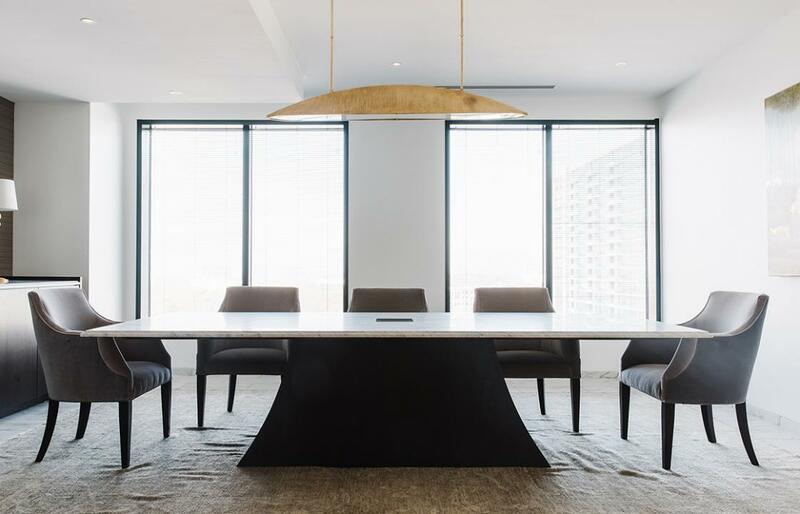 The story is the same in the glass-enclosed conference room, where the two materials meet again to bring the same air of sophistication to daily summits with a strong table and simple sideboard.